Just finished a quilt top for a lap quilt for Fall. Now that I am looking at it all together I am seeing I could have turned a few rows so matching fabrics were more spread out , but this is one of those projects I just want to finish, you know what I mean? 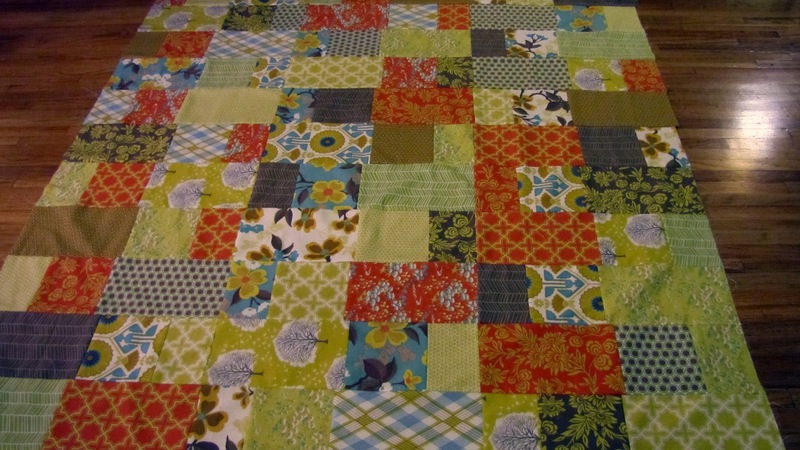 I have 2 quilts and 3 wall hanging to machine quilt and just want to get to it! I bought the Joel Dewberry Modern Meadow set in Sunny Day from Hawthorn Threads and could not wait to dive in. 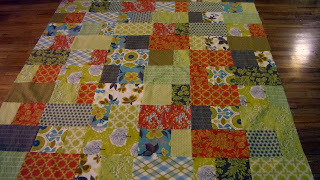 My photo does not do the colors justice, when it is quilted I will take a better picture outside!